Fleece sweaters, yoga pants, and other clothing made of synthetic materials release thousands of plastic microfibers every time they are washed. These microfibers are accumulating in waterways all over the world, entering the bodies of aquatic organisms and eventually humans. The rise of fast fashion has spread cheap polyester—the worst culprit—far and wide. 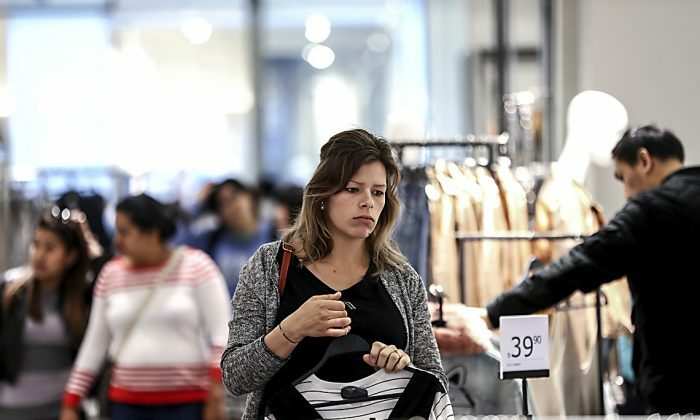 Greenpeace reported in March that within the past 15 years, people have started buying 60 percent more clothing items and keeping them only half as long. About 60 percent of those items are polyester. Brands like H&M and Zara have led the trend, according to Greenpeace. In a single city with a population of 100,000, up to 88,000 pounds of microfibers can enter local waterways every year, according to a study by researchers at the University of California–Santa Barbara. These microfibers accumulate in the local waterways, but also travel to the oceans, where there is already an estimated 1.4 million trillion fibers. They account for 85 percent of pollution on shorelines, according to Browne’s research. The effects of microfibers on human health, through ingestion of aquatic organisms as well as other exposure, is not yet well understood. Studies have shown the fibers can negatively impact the immune and reproductive systems of marine animals. Microfibers can also get tangled with other fibers in the intestinal tract, resulting in a non-biodegradable gut blockage, the University of California study noted. “This can give the organism a false sense of satiety and affects their ability to process real food, potentially leading to starvation,” it states. The U.S. Environmental Protection Agency is currently studying the impacts of microfiber consumption on human health. The textile industry faces greater challenges in solving this problem than the cosmetic industry has in addressing the much-publicized microbead pollution problem. Browne said even natural fibers that are treated come with problems and aren’t necessarily better. Chemicals used to treat and dye wool, cotton, and bamboo, for example, may also have negative environmental impacts. He calls for peer-reviewed research on each mitigation approach to see which is really most effective. Several companies have marketed products, from special laundry bags to washing machine filters, as solutions to the microfibers problem. But Browne accused these companies of greenwashing—that is, promoting initiatives or products as eco-friendly without doing what’s genuinely needed for the environment. The Guppy Friend is a laundry bag that is said to filter out microplastics before they enter waterways. He would also like to see the money used to fund NGO awareness campaigns—which he said spread misinformation—instead spent on research for solutions. “We’ve had a whole lot of people jump on the bandwagon and confuse the issue,” Browne said. Consumers play an important role, and if they think the problem is solved by a special laundry bag, there may be little incentive for clothing companies to invest in further research and development. Browne said Nike representatives told him they would only act on the issue if the public demands it. Nike did not respond to inquiries as of press deadline. 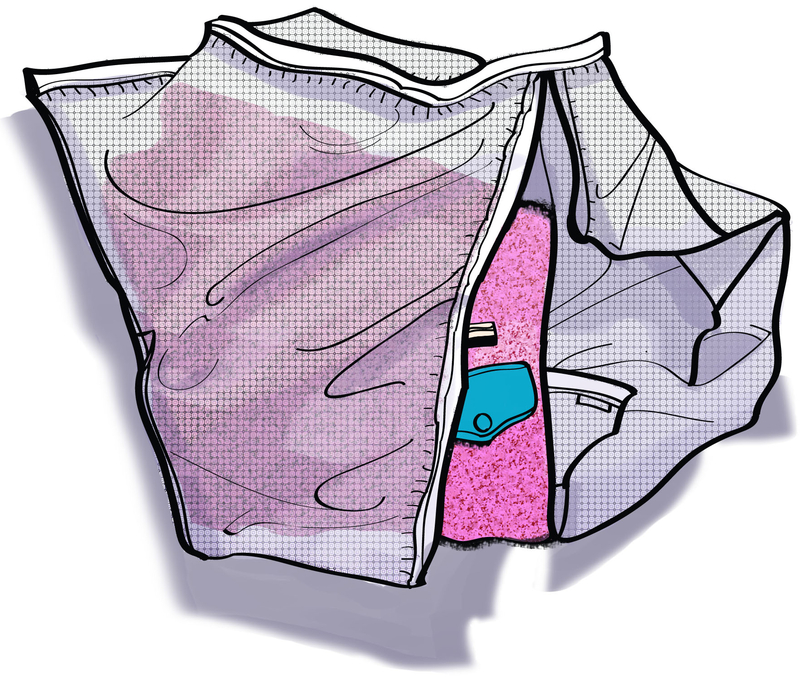 The Guppy Friend laundry bag is one of the leading products sold as a solution to this problem. It is said to capture microfibers, which can be removed from the bag by hand after the wash.
Its makers, Alexander Nolte and Oliver Spies, said they are selling their bag not as a final solution or to interfere with finding other solutions, but to mitigate the problem as much as possible in the meantime. Browne criticized the bag, saying it does not have robust, peer-reviewed research to back it up as a proven solution. He also wondered whether the plastic bag could itself shed microplastics. Some solutions suggested by researchers at the University of California include using front-loading washing machines and producing more durable clothing. Their study found that 430 percent more fibers are released by top-loading washers than by front-loaders. Cheaper garments can shed some 40 percent more fibers than higher-end garments.